Click on the images below, to see my projects,hope you enjoy! MY JOBS WHERE: DIRECTOR, ANIMATOR, FOLEY ARTIST, MIXER, AND EDITOR. Is a current on-going film! Created, written, Directed, Animated and all Foley Designed by me. with the help of a small crew! my Character Artist Ourania Markou, my Producer Connor Schrader and last but not least my Lovely Musician George Dolan, who created a sensational upbeat-dramatic song, for the film. 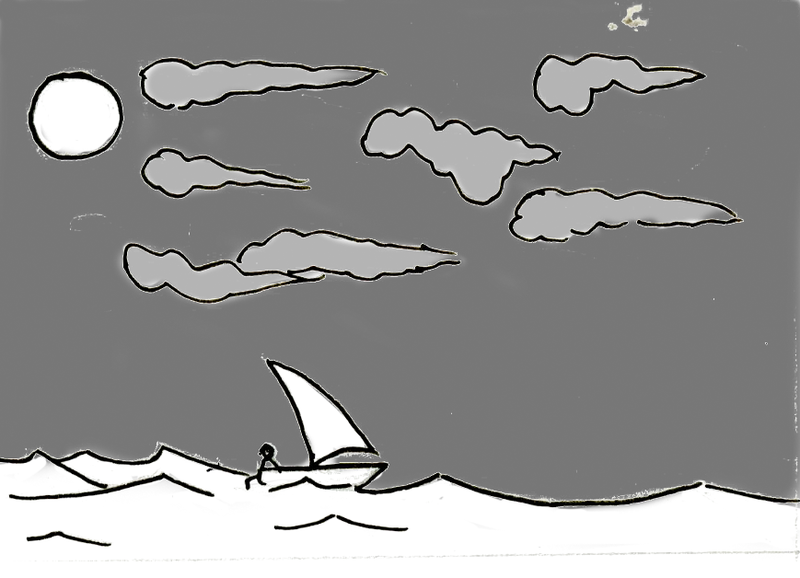 it is student 3rd Year, 2D Animation film, About the struggles of a Pirates Learning To Swim. Landlubber currently Voyaging across the seven sea's (festivals) this 2018.
by Lizzie Seagrave and Kayleigh George. 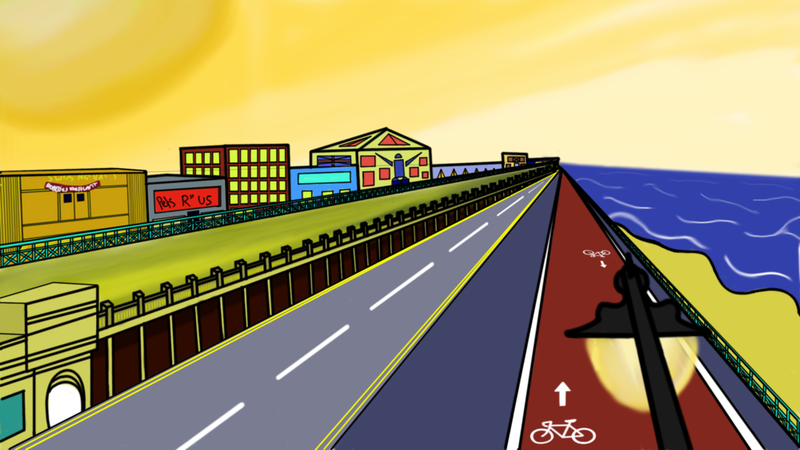 Animatic for a 3rd year film that never got finished unfortunately. 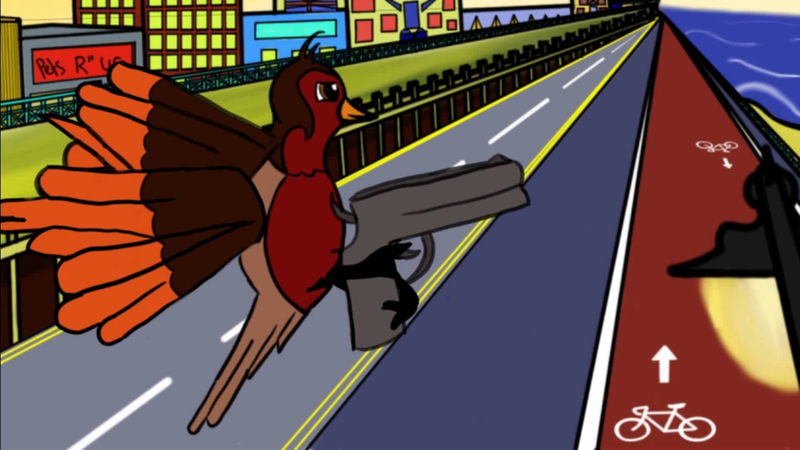 3rd Year 2D Animation created by kayleigh George. the film is about a boy called Arthur, who notices that his next door neighbour, Milton (old man) hasn't collected his bottle of milk, like he does every day, so goes to Find out why and ends up in a sticky situation. This was the first project where my main role was A Foley Artist, it was very inspirational, to work solely on Foley and not have to worry about anything else. i felt in that me and Martin Tomkinson, who i was working with, did a very moving job with the sounds and helped to bring the emotion out in the film. Sadly, in the end, the animation wasn't completed, despite this, i gained lots of experience working on the project, and it has inspired me in so many ways, that i cannot wait for Future projects, where i can just focus on the Foley. i would love to, Later on in life, end up working on more 2D animations and stop Motion films, with lovely heartfelt stories like this. 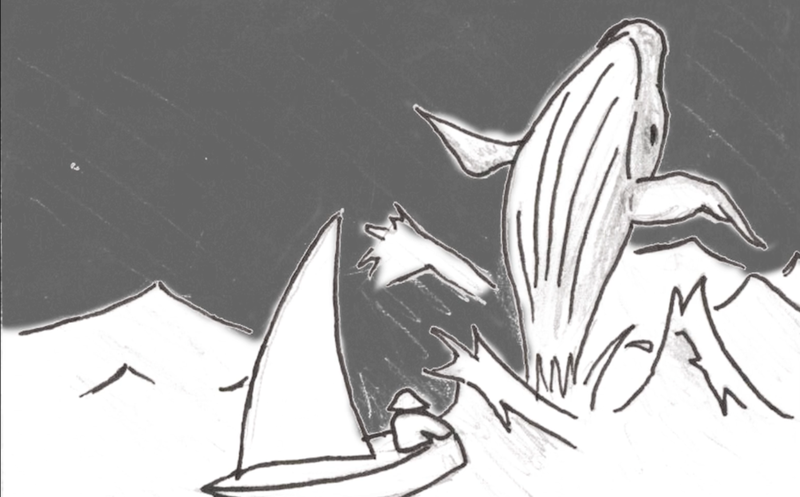 Hope you enjoy the Animatic if you haven't watched it yet. Skip Cycle, Animated by me. Concept art by Kristina Ewins. MY JOBS WHERE: ANIMATOR, COLORIST, AND INBETWEENER. Concept art by philippa Borman. A 3rd Year 2D animation, by Phillipa Bordman. About a Loney Dog, who gets a job working at an office, in Order to spend more time, with his overworking Dog owner. On this film, I worked on the in-between animation and colouring for different shots. Currently the film is still ongoing, Hopefully, in the future I will finally get to see the finished animation. My Rough Animation for a shot. Stop Motion, live action film. Was a live action, stop motion project. It was created by some film students at the university, who needed help with the animation aspect of the film because they didn't know anything about how animation worked. we were recruited for Completing the stop motion part of the film, at the time it was a side project to us and our crew was made up of only 3 animators me, Sophia Trainor and Adam Morris, we all worked really well together. Unfortunately, they had to run on a very tight schedule and that meant we only had a week, in which to complete all the stop-motion animation, because of timetabling and people being busy, it meant we had only about 3 days, in which we really could animate. Thankfully when we did actually get to animate it went very smoothly and we all seem to be very Enthusiastic about it all throughout. The only downside to it all was how slimy the eel (pieces of fimo) became when we had to oil them up to look slimy. we ended up with black charcoal coloured hands, covered in oil by the end of every shoot, wasn't very nice. once we had finished all the animation, for the film we had some amazing things, to put on our showreels. however, In the end, the film students didn't complete the film as it wasn't what they were aiming for and decided to do nothing with the work we had done. Hopefully, in the future, I get to work on more stop-motion films like this, as it was very challenging but in a very inspirational way. Hope you enjoy the film if you haven't watched it yet. Robin Expression sheet created by me. 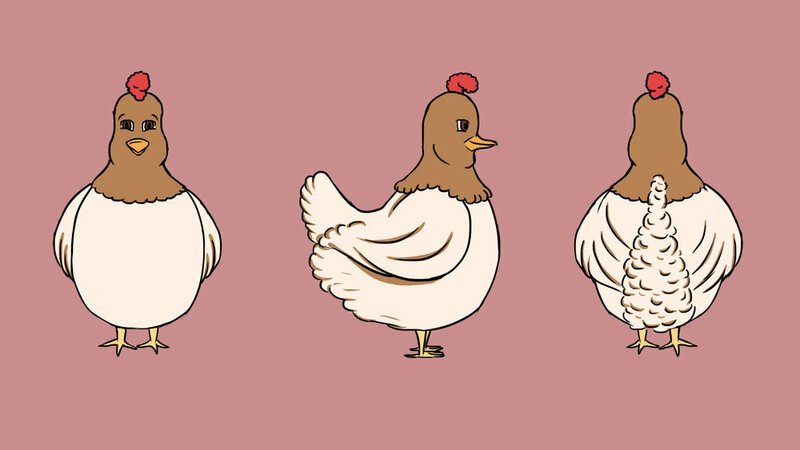 Angry Seagull expressions, drawn by me. 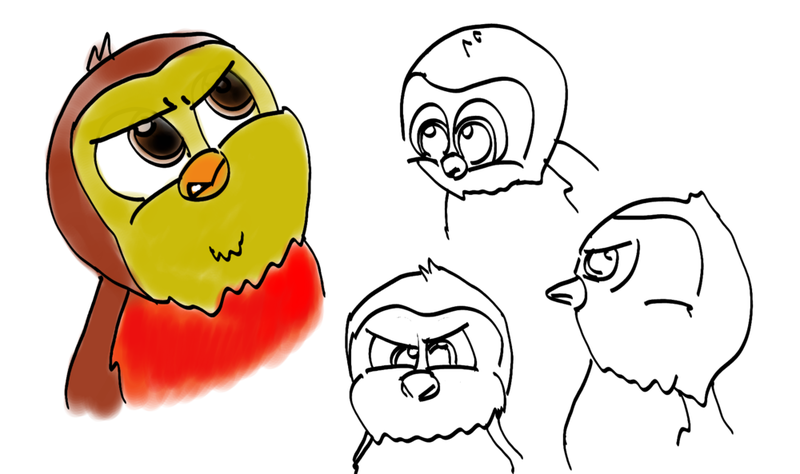 Robin Angry Facial Expressions, drawn by Jade Leavesley. 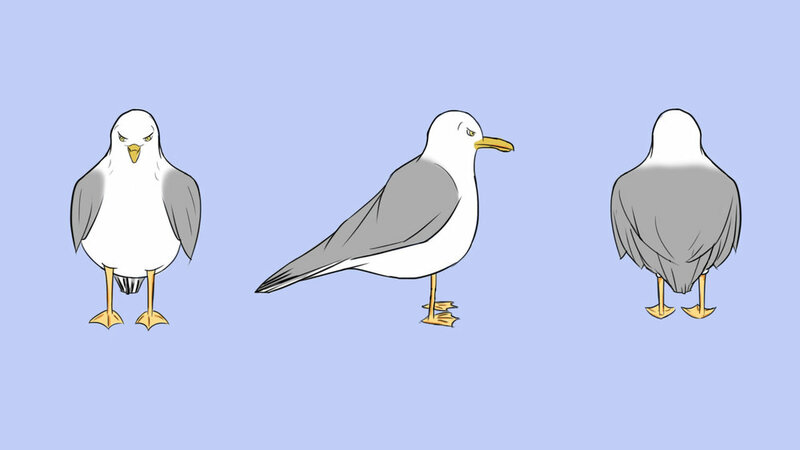 Sad Seagull expressions, drawn by me. Robin Facial Expressions, drawn by Jade Leavesley. MY JOBS WHERE: ANIMATOR, MIXER, AND EDITOR. This was a Brief were we had to create come up with our own stories using cards we were given at the start, mine were Rubber Duck, Easter island and soaps, Unfortunately, my idea didn't get picked but people thought it was a laugh still. we then had to pick groups, I chose to help Jade Leavesley, bring her story to life (see the animatic / story ideas below). the concept was about a Murderous Robin Chef, that will do anything to get his next best dish. the cards she was dealt were cooking show, robin and Russian animation. Above is my test shot for the pitch bible, we did. by the end, we came up with some brilliant, Background/character designs, that I and Chandani Parekh made and jade Leavesley made some lovely concept pieces. 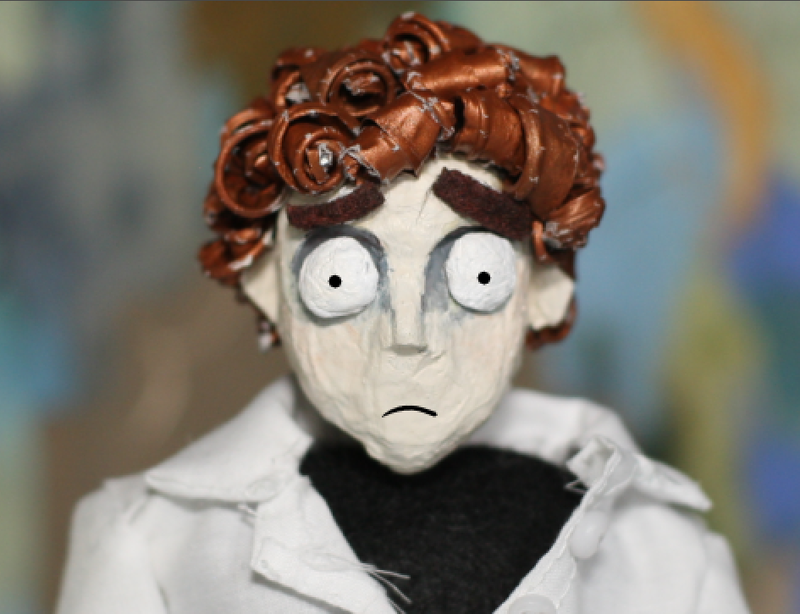 Sadly we weren't allowed to make it, into an actual animation and we only got to do test shots. it would have been lovely to have seen this as a whole animation, or a series. Hope you enjoy the test shot if you haven't watched it yet. Line up i created, of new Villains, that could appear in other episodes of cook-a-doodle-do. Character Designs by Emily Morgan & Kaarina Uimonen. MY JOBS WHERE: MIXER, AND EDITOR. A Christmas Advert for Benjamin Cook. the rush job was a project where we had to follow a Brief to make a Christmas advert animatic, for a made-up company called Benjamin Cook. We took influences from both john lewis/marks and Spenser's Christmas adverts, to work out the idea for our Christmas advert, we wanted to play at people heartstrings and make a film that people would find moving and remember. The project was a Collaborative thing, with the Film students at our university, and we had a turn around of a week in which to complete it, in which our case felt like 3 days, as we had so many lectures to work around, to make sure Everyone would be free. So once everyone finally goes together, we came up with the story very fast, the next day people went away and started Storyboarding, meanwhile, I and Sophia were waiting in the editing room to edit it together and mix placeholder sound, with the animation. it took ages before we were actually given anything and we ended up having to rush to put everything together as, in an hours time we had to show it in the cinema, but we made it and In the end, we came in second place and won £5, Amazon vouchers each. hopefully next time people are more organized, and I am given longer to mix the sound rather than the 3-2 hours, that we had. However it was the first thing I had ever mixed together so I feel I did rather well, and it made me feel like the sound is my calling. Hope you enjoy the film if you haven't watched it yet. We made! it onto the wall. MY JOBS WHERE: ANIMATOR, FOLEY, VOICE ACTOR, AND EDITOR. Was a 2D short animation, which we produced to celebrate, the marking of 800 years since Penryn, a town in cornwall (uK) was founded. we decided base our animation around Peter Mundy, who was a Seventeenth-Century merchant trader/Traveller and writer, who went around travelling and tasting tea around the world. So we focused on his Tea tasting, side of things and worked out a story based around that. The animation was created in Cel-Action and it came out very well, everyone in the team got to grips with the software really well Considering non of us had used it before. It also meant we were one of the few groups to actually complete our film on time, for the deadline and have a good story, to follow within the animation. The film came out looking very clean and clear, with strong visuals. Maybe sometime in years to come, i get to work on more projects using cel- action, because it creates Interesting animation designs. Hope you enjoy the film if you haven't watched it yet. 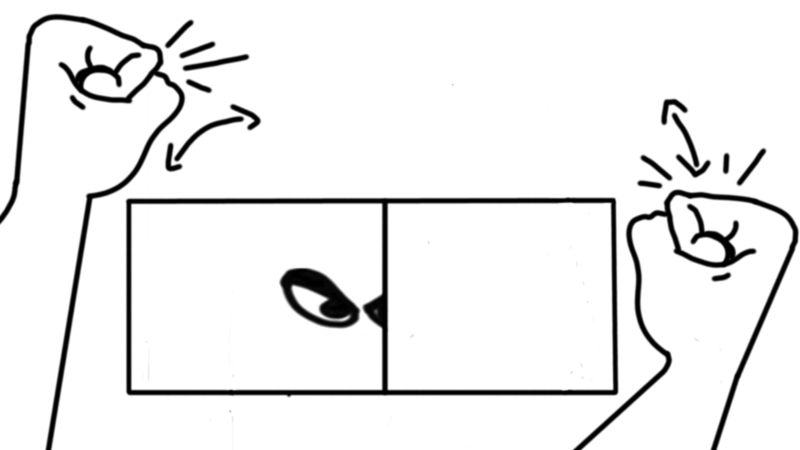 How the film looked in cel-action. Drawn by me but we chose a more simple style. 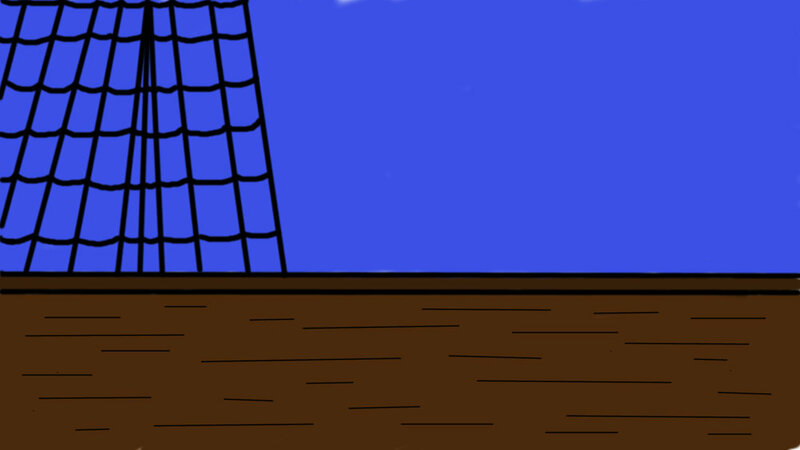 Background i drew of the deck. MY JOBS WHERE: CAMERA OPERATOR, ACTOR, MIX. this was the first Project I had, while at the University. the Brief we had was to come up with a 2-minute max Cinematography film, based on a genre of our own choice, however, it had to be completed on University grounds and had had permission to use student flats if we wanted them, in the film. So the Genre we chose was Horror/Comedy, which we believed would be easier to complete, with the limited places we were allowed to film. In the end, we managed to complete it, after a lot of editing and trimming of the length to get it to our maximum 2-minute film. We all came together really well and completed the film in no time at all, which was outstanding since none of us had done anything like this before. As you saw in the video above, it was called Paranormal Flat-Tivity, the name wasn't very Original, but we feel that we made a film that most students could relate to. Hope sometime in the future, I get to work on more Horror Genre films. Hope you enjoy the film if you haven't watched it yet.